Today marked the first day for the 114th Congress, as members of the House and Senate were sworn into office. For me, this day was one marked by a slight bitterness because of the first vote being held in the House of Representatives. 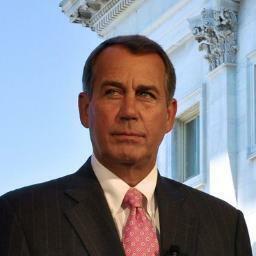 Each member of the Utah delegation voted in favor of retaining Speak Boehner. While not really a surprise with Congressmen Rob Bishop, Chaffetz, and Stewart, Utah was holding onto some hope that freshman Mia Love would have stood on principle as she had so often stated on her campaign trail for 4th District. Each member from Utah decided that they would continue with the status quo, ignoring the voices of their constituents. While I don’t adhere to the Republican Party as others in my state, it was saddening to see so many voices ignored. When you are sent to represent people in any capacity, it is your duty to listen to what they want of you. While there can certainly be some level of disagreement, and you cannot please everyone, when the vast majority of your constituents wish for something, it is advisable to listen to their voice. For far too long, voters have felt neglected by their representatives. Perhaps this is the push that is needed for real change for a third party to finally take seat in the federal government. I guarantee that each of these four House members will be facing a tough reelection in 2016.